We reached our $200,000 goal on IndieGoGo within 5 days after launching on November 12, 2014. We are so thankful to our supporters. Our campaign is still live and if we reach $10 million, we will be able to launch our own fleet of cubesats into orbit. Help us do it! The concept of Outernet is still something we endeavor to communicate in a clear way and with Lantern, this is even more critical. 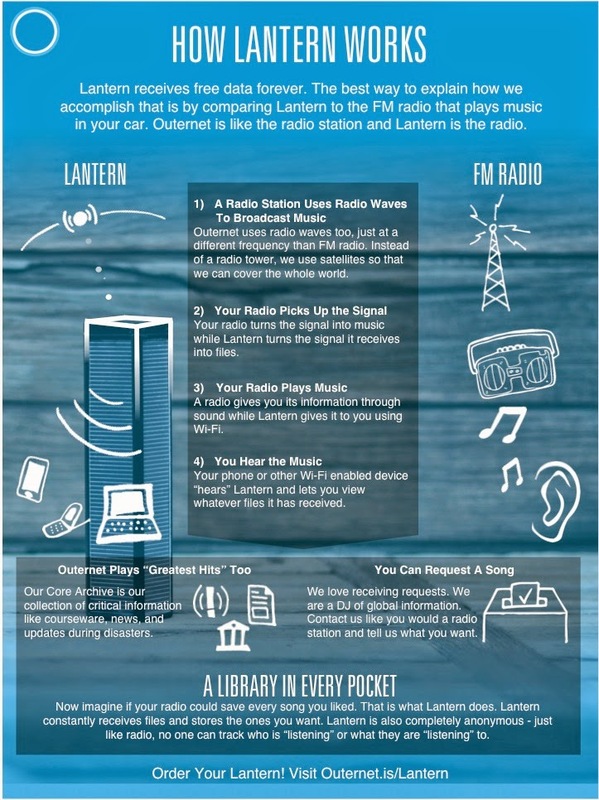 A really great analogy to Outernet is FM radio except we broadcast data instead of music. Let us know if this graphic helps explain our new device, Lantern, and Outernet in a more understandable way. Thank you!